Holland & Barrett is helping to break the silence surrounding the menopause with an advertising campaign to run across London's transport network. 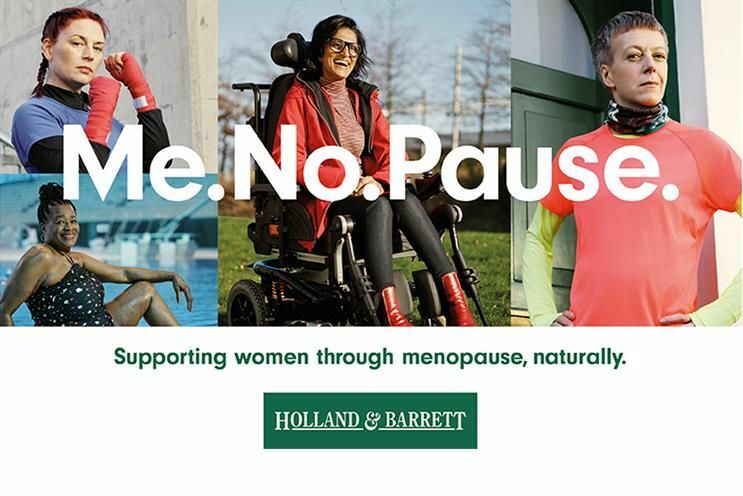 The campaign, aptly named "Me,No.Pause" will be seen in Holland & Barrett stores and across the Transport for London network as well as on digital screens at Canary Wharf, and will help reflect London's diversity by featuring women from all backgrounds, helping to drive a move away from harmful gender stereotypes. By partnering with Transport for London, Holland & Barrett will be able to convey the message over 31 million journeys, helping to overcome the reality of the subject of menopause being the "last taboo". A whole raft of articles about women and the menopause can be found here on the Holland & Barrett Health Hub.